What a great way to capture a favorite memory by personaizing a picture frame. Just tell me what you would like me to paint on the main sign, arrow, boat and house. Great Gifts! 5x7 and other sizes re available too! 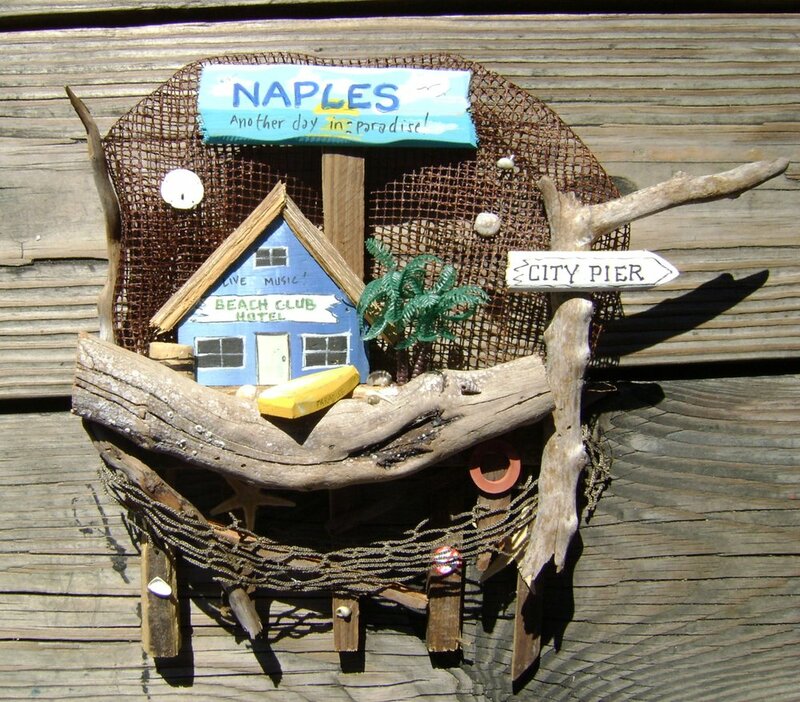 This small scene is created out of old Florida Lobster traps and local driftwood. I hand select each piece and assemble with my nail gum, saw and sander. You can tell me what you would like painted on the main sign, 1 directional arrow, and one building. Or I have some generic scenes made up with Naples/Marco hot spots. $75 Approx. 9in x 12 in. On this medium scene, you can tell me what you would like painted on the main sign, 2 directional arrows, and 2 buildings. Or I have some generic scenes made up with Naples/Marco hot spots.